Join a multicultural team of scientists and professionals dedicated to ensuring the prosperity of small-scale farmers in developing countries and the health of people worldwide. We welcome you to bring your talent and skills to bear on the Center’s many multidisciplinary research and development activities to increase vegetable production and consumption. Working at WorldVeg will expand the breadth and depth of your experience. 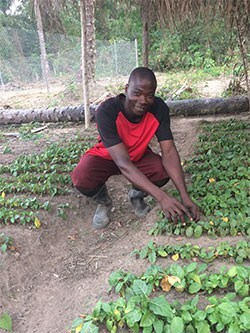 Take your career forward and join the people who are improving livelihoods and lives with vegetables. Apply today!